Taj Weekes & Adowa join the CFCU Summer Concert Series on Wednesday, July 18, bringing their unique reggae sound to the Commons. The band’s sound has been described as thoughtful, lush arrangements and a finely honed penchant for telling poetic tales of hardship and hope. “I don’t sit down and write socially conscious songs. I write songs about where I place my focus,” Weekes explains. “I grew up listening to the power of the music, the lyrical content. 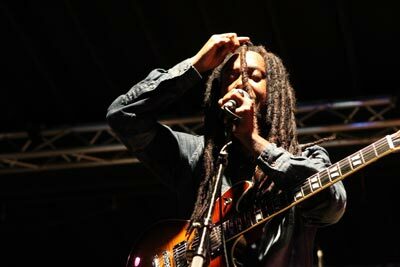 That’s what matters to me.” Though long hailed by reggae fans, Weekes defies simple genre formulas. His intuitive, intense songwriting ties together the many threads of his Caribbean heritage and honors his unflagging engagement with the world as a musician, philanthropist, and lecturer. This series is made possible by CFCU Community Credit Union, Seneca Beverage Corporation, Ithaca Marriott Downtown on the Commons, Wagner Vineyards, and Cayuga Radio Group.